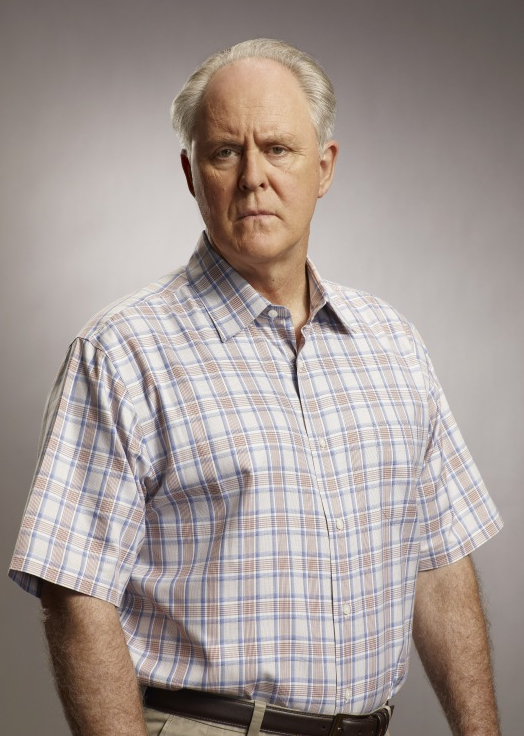 Dexter Daily: Happy Birthday, John Lithgow! Today, John Lithgow turns 70! Born John Arthur Lithgow on October 19, 1945 in Rochester, New York, USA, son of a retired actress and a father who was both a theatrical producer and director, he moved frequently as a child while his father founded and managed local and college theaters and Shakespeare festivals throughout the midwest of the United States. Read more after the jump! Not until he was 16, and his father became head of the McCarter Theater in Princeton New Jersey, did the family settle down. But for John, the theater was still not a career. He won a scholarship to Harvard University, where he finally caught the acting bug (as well as found a wife). Harvard was followed by a Fulbright scholarship to study at the London Academy of Music and Dramatic Art. Returning from London, his rigorous dramatic training stood him in good stead, and a distinguished career on Broadway gave him one Tony award for "The Changing Room", a second nomination in 1985 for "Requiem for a Heavyweight", and a third in 1988 for "M. Butterfly". But with critical acclaim came personal confusion, and in the mid '70s he and his wife divorced. He entered therapy, and in 1982 his life started in a new direction, the movies - he received an Academy Award nomination for his portrayal of Roberta Muldoon in The World According to Garp (1982). A second Oscar nomination followed for Terms of Endearment (1983), and he met a UCLA economics professor who became his second wife. As the decade of the '90s came around he found that he was spending too much time on location, and another career move brought him to television in the hugely successful series "3rd Rock from the Sun" (1996). This production also played a role in bringing him back together with the son from his first marriage, Ian Lithgow, who has a regular role in the series as a dim-witted student. In 2009 he played the role of Arthur Mitchell on Dexter and he was one of the best villains ever. For Trinity's role he won an Emmy Award in 2010. His most recent big movie role was for the 2014 film 'Interstellar'. Happy Birthday Mr. Lithgow!